Congratulations to peterscrufari, giveaway winner! "Introducing your last notebook ever." 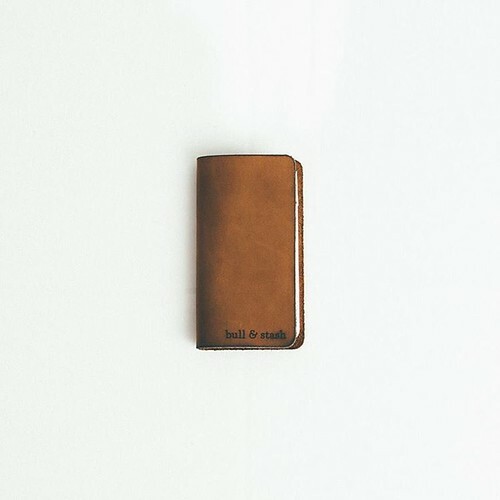 That's the tagline for the innovative leather notebook company Bull & Stash. 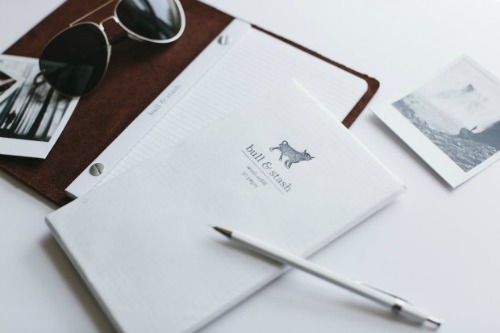 I always enjoy hearing about promising startups and considering the successful funding of the Bull & Stash Kickstarter and Indiegogo campaigns in the past eighteen months, it's safe to say founder and CEO Cameron Huber has found a niche that needed filling. Just 23 years old, Cameron is finishing up a degree in Architecture at the University of Oregon. Varied internships piqued his entrepreneurial spirit and he has been able to manage and promote Bull & Stash while still in school... no small feat! 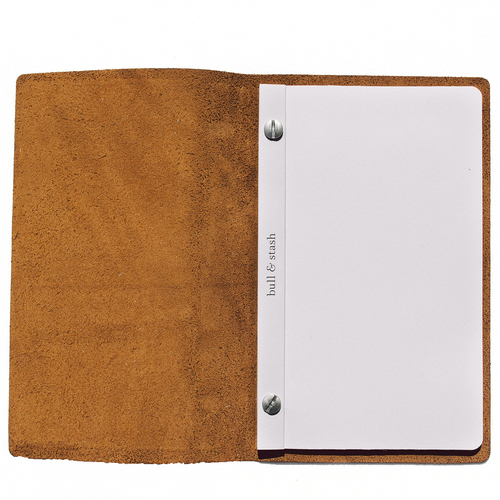 If you're the type who loves a really nice notebook, the refillable, loose leaf Stash and Travel Stash notebooks feature an oiled leather cover, full metal hardware and bleed-resistant 60 lb paper. I can't imagine a writer, artist or lackadaisical doodler who wouldn't enjoy one of these handsome notebooks. The Stash measures 5.5 x 8.75 inches (14cm x 22cm), while the Travel Stash is 3.4 x 6 inches (8.6cm x 15cm). There are paper refill options... lined, blank drawing paper, and soon-to-be dot-grind. 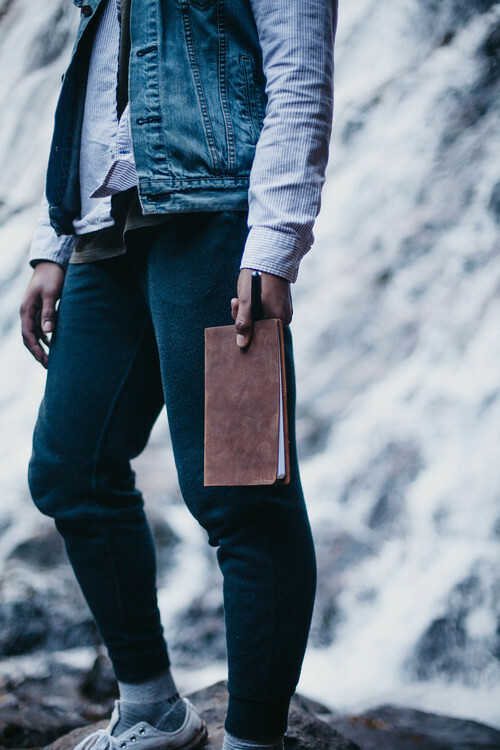 The notebooks are initially hand-crafted in the Pacific Northwest using American cowhides and then are sent to Florence, Italy where they are hand-finished. Note that the covers may have natural blemishes and numbers... these marks are a result of the tanning process. 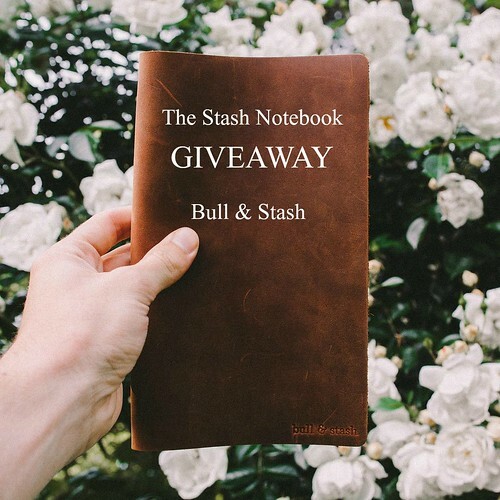 The giveaway details: Bull & Stash will be sending The Stash Notebook along with a refill package of drawing paper to one lucky recipient. This in an international giveaway - yay! End date: Saturday, March 19, 2016. To enter to win this beauty for yourself or to give as a gift, post a comment. Be sure to include a way to be contacted within your comment as Blogger doesn't show me the entire comment form... grrr. For those who would rather not visibly post an email address, comment here and send me a quick message at ann.b.martin@gmail.com so I will be able to contact you if you are the winner. If you are on Instagram, you may earn an extra entry. The winner will be drawn at random and announced at the top of this post and on the Instagram giveaway photo. Good luck! Find Bull & Stash on Instagram, Facebook and Twitter. What a luscious prize. Thank you for sharing. Talk about writers inspiration! They look lovely. skyview at countryspeed dot com. Wow! Great giveaway - thank you! I'm lucky : an international giveaway! Thanks. This Notebook is so beautiful. WOW...what a wonderful notebook, and sooooo versatile. Bet it is a treat just to hold it in your hands. I had a small leather day planner when in school and enjoyed the feel of it....to say nothing of how useful it was! Thank you for the chance to win!!!!! A beautiful and very functional notebook I'd be proud to own. Wish me luck! And thanks for the chance to win one. 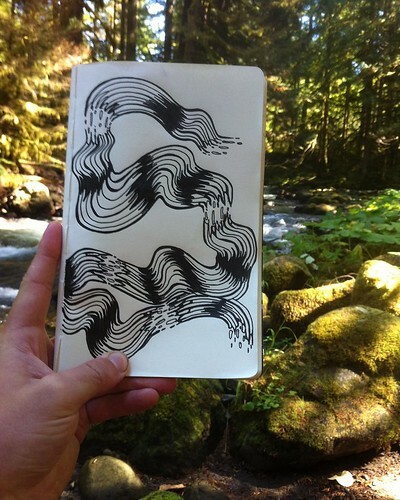 This would be great for sketching designs. Ooooooh. Gorgeous. Thanks so much to Bull & Stash for this great giveaway. kmwtpg at comcast dot net. What a beautiful notebook ! Count me in! Contact me via karren.tolliver at gmail.com. Thanks for presenting this contest! 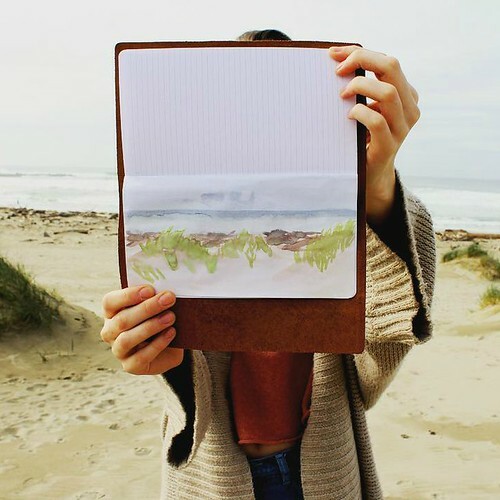 What a gorgeous notebook, I love the idea of the refill pages in a high quality cover! Thanks for the giveaway Ann! Beautiful gift. Thank you for your generosity! Beautiful notebook. Thank you for the chance to win this wonderful giveaway. Thanks to you and Bull and Stash for offering this opportunity. Super nice notebook. Hope I get it. Looks like a fabulous notebook. I like the fact that it is refillable as some I have seen are pretty but can not be refilled. Thank you for introducing it. Thanks for the chance to win. The giveaway has ended. Thanks for all of the entries and enthusiasm about Stash notebooks!